What is Morton’s Neuroma ? Morton’s neuroma is a painful foot condition caused by an irritation or damage to one of the nerves in your foot. 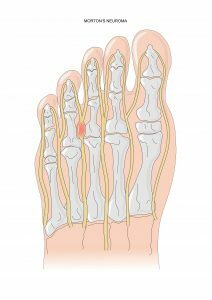 A Morton’s neuroma involves one of the nerves leading to your toes as a result of a thickening of the tissue surrounding the nerve, this is most often between your third and fourth toes. It is often to identify the presence of a Morton’s neuroma with a physical assessment of the foot as part of a biomechanical assessment. 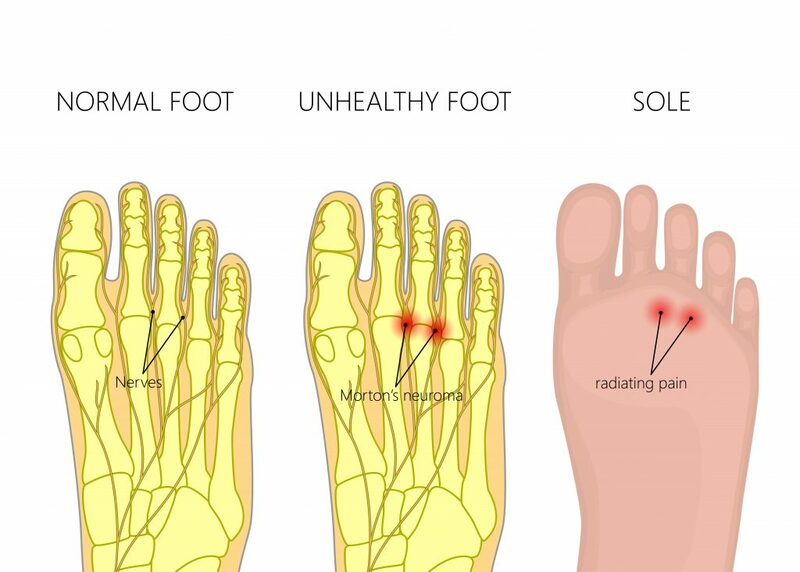 A Podiatrist is able to perform a test whereby pressure is applied to either side of the ball of the foot, when pain is felt it is likely a Morton’s neuroma may exist. 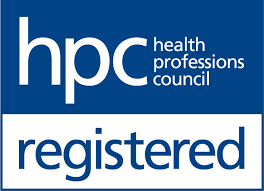 An ultrasound scan of your foot provides the most accurate diagnosis, where this is necessary our Podiatrist will write to your GP to recommend this investigation. Wearing tight, narrow fitting shoes can squash your toes together causing the nerves between your toes to become irritated. High heeled shoes in particular increase pressure on the ball of the foot and should be avoided if experiencing ball of the foot pain. Sports which require tight fitting footwear such as climbing or skiing can lead to the development of Morton’s nueroma. Sports which involve a repetitive high impact on the feet such as running can also increase the likelihood of Morton’s neuroma. A bunion is a type of foot deformity where the big toe deviates across causing the ball of the foot to become wider. When this happens it is more likely that footwear will apply pressure to the ball of the foot and in so doing irritate the nerves. Flat feet, high arches and hammer toes all increase the chances of developing a Morton’s neuroma. The treatment of Morton’s neuroma depends on many factors and assessment by a Podiatrist is a good place to start in deciding what is best for you. In many cases a change in footwear and resting from any repetitive activities such as running or walking can allow the pain to settle. Orthotics with a built in raise (metatarsal dome) just behind the toe joints can also be very effective in treating Morton’s neuroma. An orthotic can also be used to decrease the pressure on the ball of the foot and therefore relieve pain. In some cases either a cortisone injection to reduce inflammation or removal of the nerve via surgery are the most appropriate forms of treatment particularly when the other treatments have been unsuccessful.